Use Case: Create an empty VIPC file manually as evidence in a workflow that it is known that there are no dependencies for that project or as a placeholder for future dependencies. Dialog to save VIPC file to disk. Note: On VIPB screen pressing Open VI Package Configuration then Save Package Configuration button allows user to save empty VIPC file to disk. 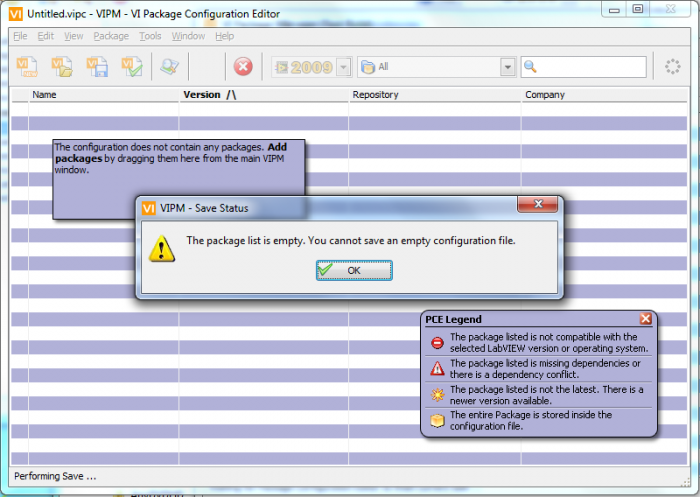 Create a VI Package Configuration and add one or more packages.